Beat cream cheese and mayonnaise until well combined. 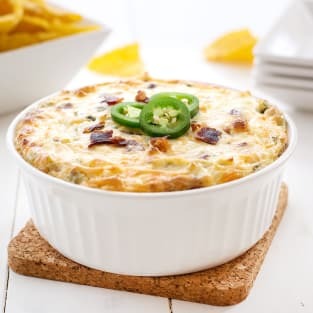 Mix in jalapeños, chiles, bacon, and shredded cheese. Spread mixture in a 1-1/2 quart baking dish and bake for 20-25 minutes, or until hot and bubbly. Serve with chips or veggies for dipping.